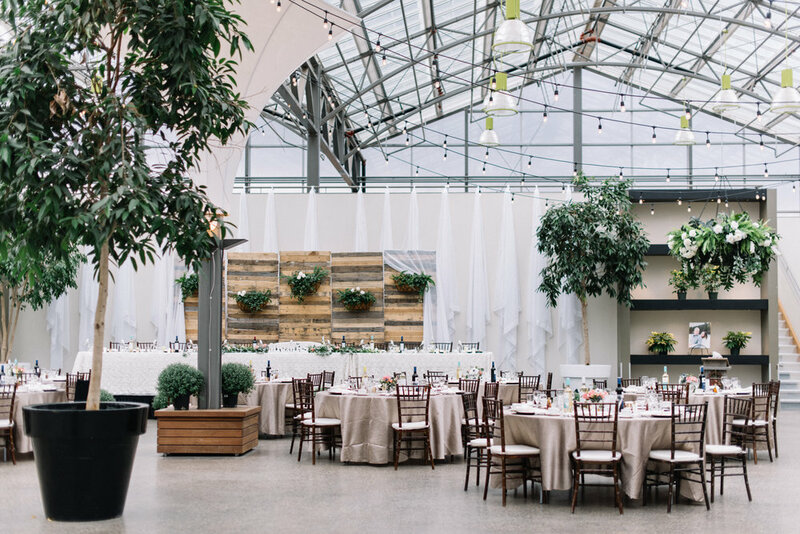 The Moonflower Room is the largest of our event spaces and the most dynamic. It features soaring, 9-metre high glass ceilings that treat guests to breathtaking views of the prairie sky. 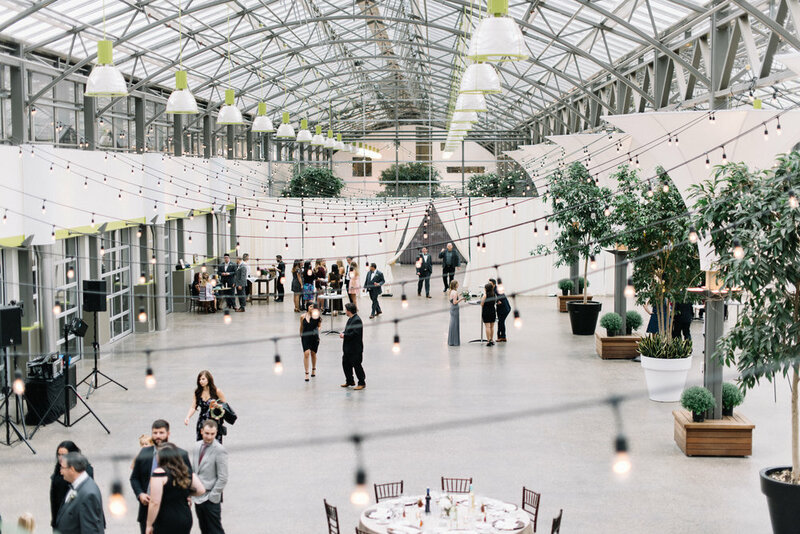 At 1,390 square metres, the event space comfortably accommodates 650 for dinner, making it an amazing venue for weddings, fundraisers, dinners and trade shows. The interior, complete with elegant mezzanine and stunning views of the greenhouse growing ranges, has polished cement floors and gentle colours that complement any décor.